Criminal forensics applies chemistry and analysis techniques within law enforcement settings. Different analytical methods can be used to identify materials recovered from a crime scene, or perform investigative analysis to help reconstruct or verify the sequence of events. Criminal forensic science is unique in that its research, practice, and presentation must meet the needs and standards of both the scientific and the legal communities. 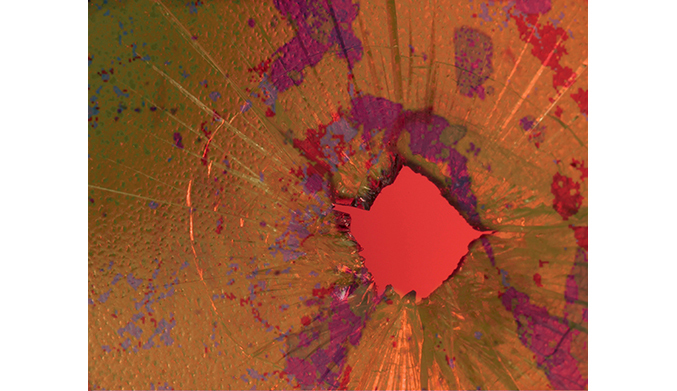 A scanning electron microscope equipped with an energy dispersive X-ray detector can be used for particle analysis of gun shot residue (GSR), one of the most frequent applications that forensic scientists use to determine the proximity of a discharged firearm. Micro-XRF is another commonly employed technique due to its ability to analyze samples in a non-destructive manner with minimal or no sample preparation. One of the most prevalent applications for trace forensic analysts is to distinguish the composition of glass fragments, and determine if they originate from the same source. Other uses for micro-XRF in forensics include analyzing explosive powders, fibers, paint or paint chips, ink, counterfeit materials, and duct tape.